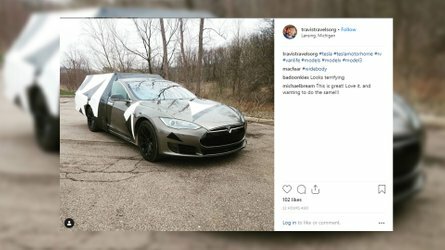 Production will be limited to only 1,948 cars. To the surprise of no one, Porsche has decided to put the retro-tastic 911 Speedster into production, but you’ll have to hurry up and get one since just 1,948 units will be manufactured. Why precisely 1,948? It’s a nod to the year 1948 when the Porsche 356 “Number 1” got its operating license. 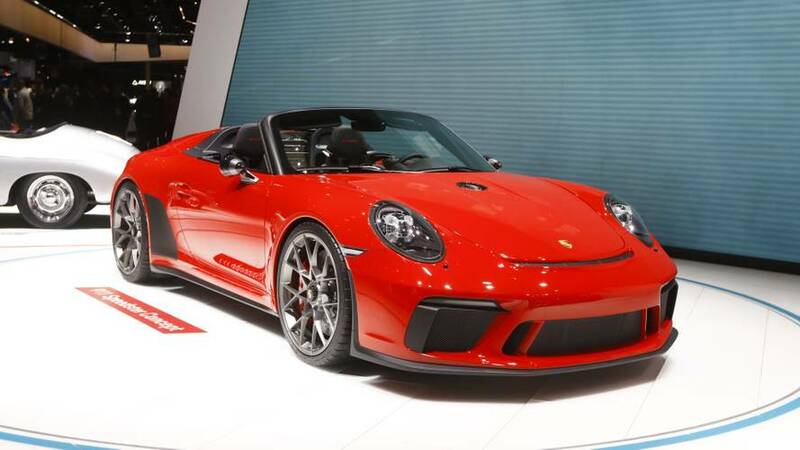 For the ongoing Paris Motor Show, Porsche has decided to follow up on the original concept unveiled back in June with a second version painted in Guards Red as a visual link to the 1988 911 Speedster. 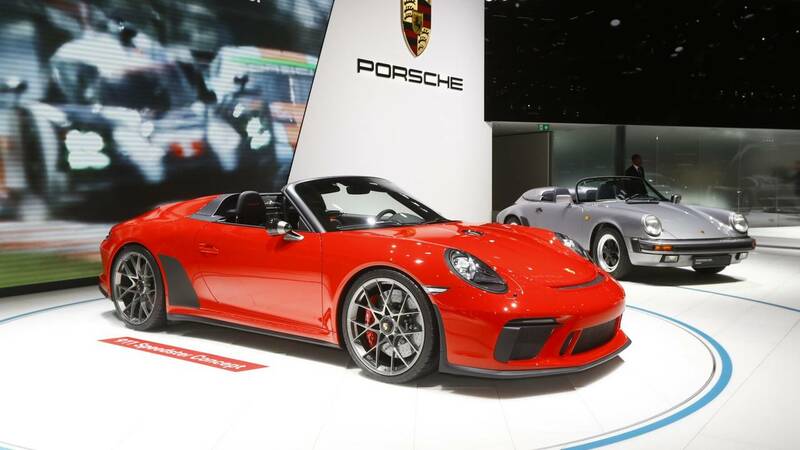 Aside from switching to a red dress, the second 911 Speedster concept has been fitted with different 21-inch center-lock wheels with an attractive cross-spoke wheel design reminiscent of the 911 RSR and GT3 R race cars. 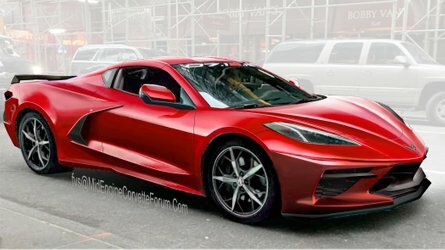 Speaking of which, the daytime running lights are tinted like on some race cars and are finished in red to complement the body. 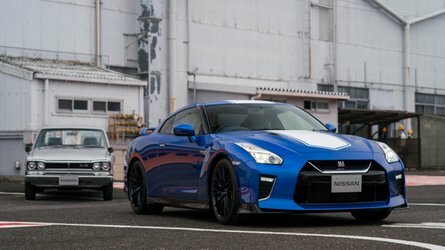 For a contrasting effect, black chrome and platinum have been used for those interesting side mirror caps and also for the fuel tank cap centrally located on the hood. While the original “Heritage” concept (pictured below) had a light brown Aniline leather upholstery, the new one adopts a partly perforated black leather with eye-catching red accents. 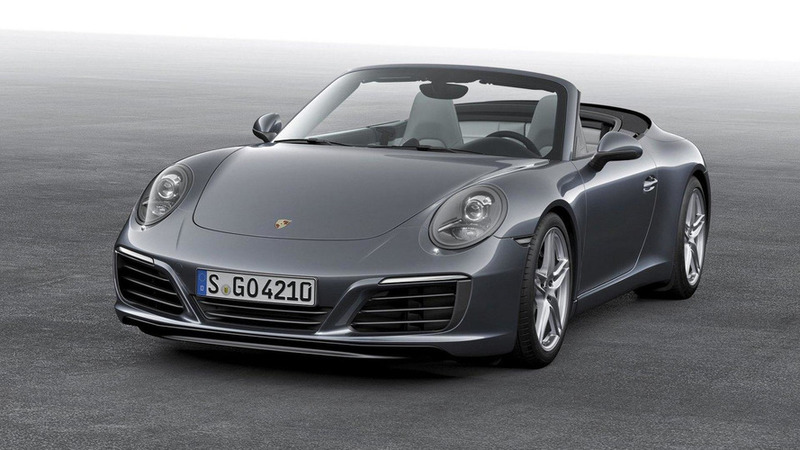 Aside from the different finish inside and out, the concepts are exactly the same and are both based on the 911 Carrera 4 Cabriolet. Porsche borrowed the 911 GT3’s chassis and built the frunk and trunk from carbon fiber composite to keep the weight low. 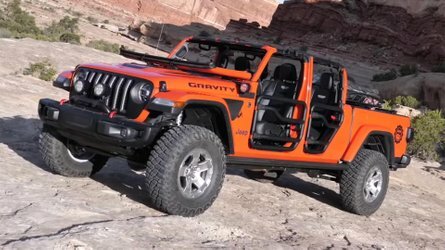 The exhaust system was engineered by the company’s GT department with titanium tips, while the six-speed manual gearbox and the flat-six naturally aspirated engine with more than 500 horsepower also wear the GT’s signature. 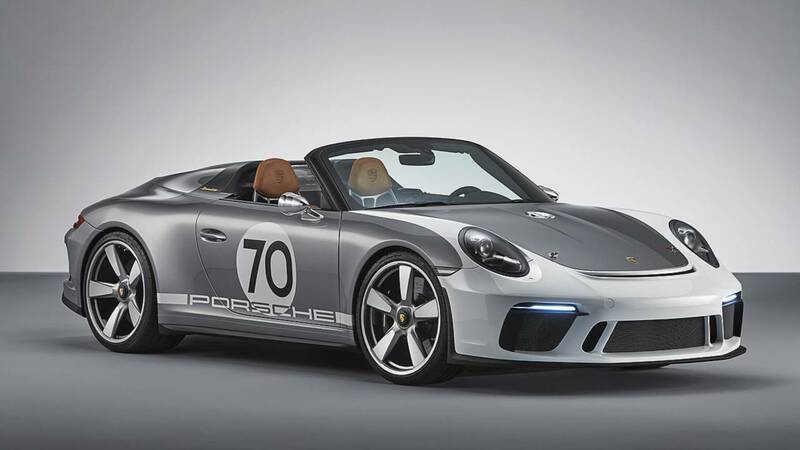 Entering production in 2019, the 911 Speedster will be the automaker’s first car to be offered with Heritage Design Packages created by Porsche Exclusive for those wanting more customization options.